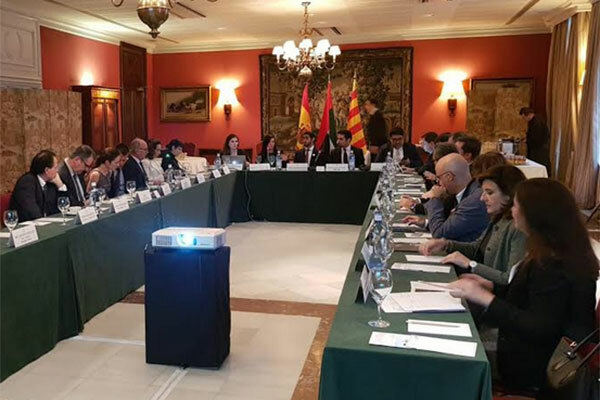 The Dubai Investment Development Agency (Dubai FDI), the investment development agency of Dubai Economy (DED), recently held a strategic meeting with major industries and key investors in Barcelona, Spain. The meeting, held in collaboration with Senda International Company, formed part of Dubai FDI’s efforts to showcase Dubai’s competitive edge to attract international investors and boost the emirate’s socio-economic development. Fahad Al Gergawi, CEO, Dubai FDI, said: “Dubai FDI continues to expand its trade missions in various platforms and our presence in Spain is in line with our commitment to promote Dubai’s key investment prospects. Spanish investors have expressed strong interest in the construction, technology and equipment sectors in Dubai and we are keen to further enhance our positive relations with leading Spanish investors to explore how we can create and open new markets for them in line with Dubai’s economic diversification policy. During his speech, Mohammed Abdullah Ali Khater Al Shamsi, UAE Consul General in Barcelona lauded the continuously developing bilateral relations between the UAE and Spain on all fronts. Both countries witnessed positive growth rates in their trade balance and mutual investment relations. He said: "There is still much room for increasing the level of cooperation and attracting Spanish investment to the UAE, especially across priority sectors, foremost among which are renewable energy, transport, education, health, technology, water and space." He also said that promotional seminars are vital to introduce to the Spanish business community the array of investment opportunities in the UAE, which is a gateway to many international markets. Khalid Raie Boom, deputy CEO of Dubai FDI, said: "The recently concluded meeting was organized after we signed an agreement with Senda International Company, a business consulting firm that provides services to Spanish investors who wish to undertake business and expand their business networks in Dubai. During the meeting, Natalia de Olano, CEO of Senda International, presented her successful experiences as an investor in Dubai for 18 years and her services to companies wishing to reach other regional markets through Dubai." “It is our honour to sign this partnership agreement with Dubai FDI. We are glad to build this new bridge with Spain together with Dubai FDI,” said Olano. “We will guide and support investors by creating stable local corporate relations to make their investment even more rewarding. We are proud to introduce the strategic advantages of Dubai to leading companies which has not explored yet the opportunities that Dubai offers as an international business hub, especially with no income or corporate tax for businesses or individuals. According to the latest data released by Dubai FDI Monitor, Spanish investment in Dubai has reached around $800 million this year, putting Spain among the top three investors in terms of direct foreign capital in the emirate.